There’s a divide among parents: to apply sunscreen and potentially harmful chemicals on your kids, or not to apply sunscreen and take your chances with the sun? 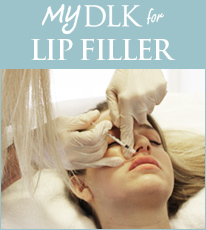 The answer is clear to dermatologist Dr. Lisa Kellett of DLK On Avenue in Toronto. Covering up with hats and light clothing or staying indoors are options. But add heat and humidity and stripping is more likely. And it’s hard to stay in when the sun is shining outside. With the right sunscreens, though, you can straddle the divide and let the sun shine in. 1. You won’t get enough vitamin D if you wear sunscreen: If you’re concerned about not getting enough vitamin D, try an oral supplement, says Kellett. It also decreases the risk of solid tumor malignancies, she says. • SPF measures UVB rays, which tan and burn you. Deeper penetrating UVA rays are the prime culprits causing premature aging and skin cancer. So look for sunscreens that protect against both UVA and UVB rays. • Kellett recommends using sunscreen with an SPF of 30 or higher that has been approved by Health Canada with either a DIN or NPN number. • For sunscreen safety rankings, check the Environmental Working Group (EWG) http://breakingnews.ewg.org/2012sunscreen/. But, Bishop suggests taking their rankings with a grain of salt. EWG is extremely conservative and not all companies are listed, but it provides a lot of good info.